Simple and fun! 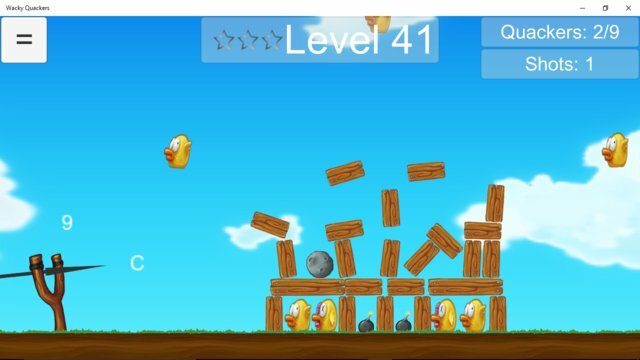 Blast your way through fully destructible terrain to get to those wacky quackers! 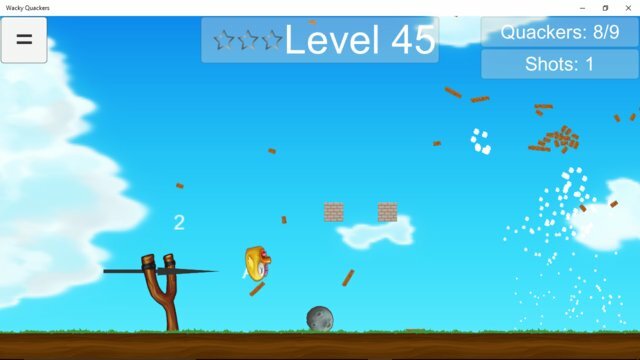 Flying ducks, falling anvils, and explosive bombs are all part of the adventure. Hit all the ducks to move to the next level. You have unlimited shots so keep trying until you hit all the ducks. This game was originally built for my disabled sister-in-law. Because she cannot use a mouse or touch screen I built it with special keyboard controls so she could enjoy an Angry Birds style game. Now you can enjoy this game on your phone or tablet!